I never realized how much I missed Lego until my 8-year-old got a Lego kit for Christmas. She had asked Santa for Lego. As she was an enthusiastic soccer player, Santa decided to combine her new found love of Lego with her love of soccer. She opened the package and squealed. I giggled as she excitedly told me how much she loved her gift. She was one excited kid that Christmas morning! My 8-year-old shook that box vigorously. The sound of the Lego pieces knocking against the side of that box unleashed an excitement I had not experienced since I was a kid. I had to restrain myself from building the kit! My daughter build the soccer stadium Christmas Day. The Lego Soccer Stadium kit kit became her favorite toy. Every day my 8-year-old set up soccer games, had the mini figures do soccer drills, and built bleachers for the spectators. The only problem she had with the Lego Soccer Stadum kit was that her friends all made a beeline for that Lego Soccer Stadium during play dates. The Lego Soccer Stadium kit was a bit fragile and easily came apart if not handled carefully. My daughter was good at keeping the Lego Soccer Stadium set together, but playmates were often not so careful when they played soccer with the Lego Stadium Set. Seeing my daughter upset over the “broken” Lego Soccer Stadium kit sparked a conversation about responsibility with toys. We talked about how we as a family treat our possessions. We talked about how we keep our possessions in good working order…don’t break toys…put toys away in a safe place. This led to us discussing how our play dates friends treated our toys…sometimes they played roughly with a toy…or didn’t know that a toy was special. My daughter and I created a new house rule that she would give special toys to me before play dates. From that point on, play dates were less traumatic for her. Since my 8-year-old knew that her special Lego kits were not within reach of her play date friends, she had more fun at her play dates and learned a valuable lesson about responsibility. Did you know that…Pley offers access to a large selection of educational toys, including 400+ LEGO sets and popular robotics toys. More toys are being launched in the next few months. Stay tuned for updates! Did you know that…All Pley toys come at a low price point vs. buying toys. Average members save ~$800/year. Did you know that…Pley is really convenient and helps reduce clutter. 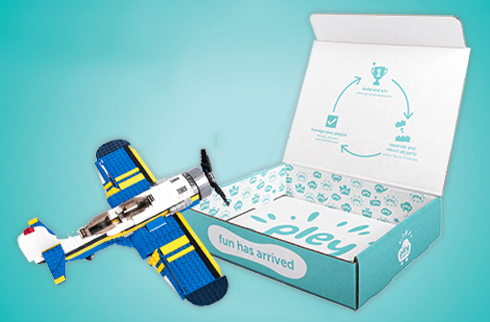 Pley packages are delivered to your door and when the kids are done playing, you can return them for a new toy. No more toys sitting unused on shelves! Did you know that…Pley makes a fantastic gift! Shoppers can either gift unlimited subscriptions or gift cards! 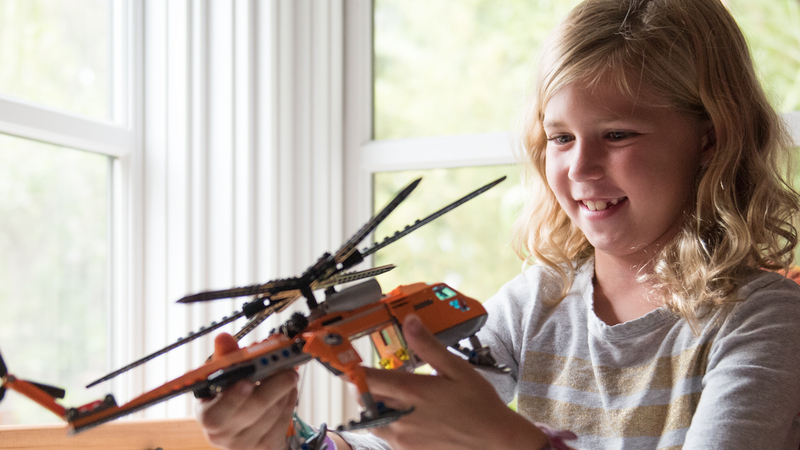 Explore the many toys — Lego Star Wars, Lego Friends, Lego City, K’Nex, Lego Duplo, and more — are all available to rent on Pley.com. Subscriptions to Pley start at $22.99 for 3 months, or save big when you sign up for 6 months of Pley for $19.99.